This timer is great for many uses such as baking, house chores, reading time, etc. Easy to use even for me. Works with one AAA Battery. Has a countdown or count up timer with large numbers, has a magnetic back as well as a built in stand. You can hang this or even attach a cord so you can have this around your neck while waiting for your timer to go off. It can also be clipped onto objects to keep it close at hand while in use. We keep ours on our refrigerator in between uses. The only downfall I see is that there isn't an off switch so the battery is always in use, other then that this is perfect. This timer can be found on Amazon. What Accuon has to say about their product. 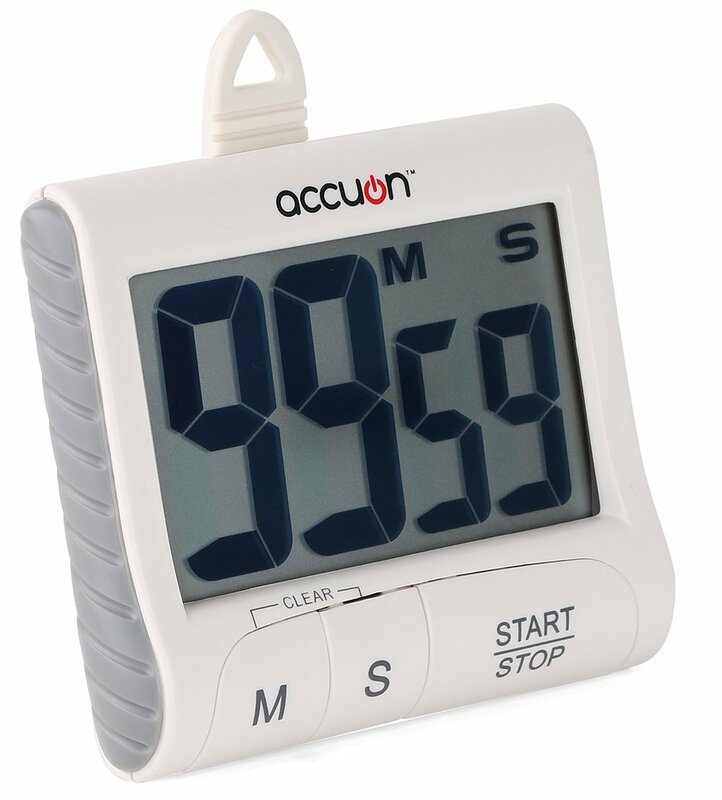 This Jumbo Digit Timer counts up and down by minutes and seconds up to 99 minutes and 59 seconds. When finished counting a loud alarm sounds. Also features last memory countdown. You can mount it according to your convenience in 4 ways: magnetic strip, clip, hook, and stand. The timer measures 80(L)x 20(W)x 70(H) mm, with a digit height of 1.5 inches which makes reading from far clear and easy. Great for kitchen use , work out, etc. Care for product; Avoid exposing Timer to extreme temperature , Water or severe shock. Also avoid contact with corrosive material such as alcohol, perfume or cleaning agents. 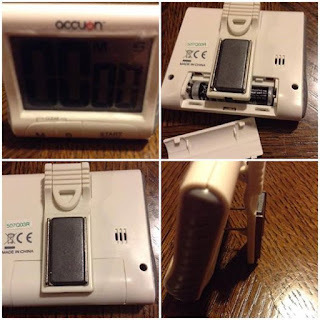 Disclosure: MarksvilleandMe received one or more of the products mentioned above as part of a promotion with Tomoson and Accuon. Regardless, MarksvilleandMe only recommends products or services we use personally and believe will be good for our readers. Some of the links in the article may be “affiliate links.” This means if you click on the link and purchase the item, I will receive compensation. If you would like MarksvilleandMe to review a product or service please contact us at marksvilleandme@gmail.com.